We have professional politicians running our country whose theory on government is a mess, to say the least. These policy makers and elected officials lack the clarity, simplicity, and intellectual honesty to live up to free market ideals that helped form our way of life as the United States of America. This over regulation has strangled and put our economy in a straight jacket leading to our unspoken depression as a nation. Even a high dose of Prozac or Zoloft could not clear the fog now. This Fourth of July marks 235 years of freedom from an oppressive, unjust, and taxing government that some would argue has reincarnated its tyrannical clutches. Let’s remember how our freedom was obtained the last time and ask, who is willing to lead us out of the mess today? In 1776, two events that changed the world happened: the publishing of Adam Smith’s Treatise on “Wealth of Nations,” and the founding of our country. It is known historically that Adams, Jefferson, Madison and Hamilton studied "The Wealth of Nations." 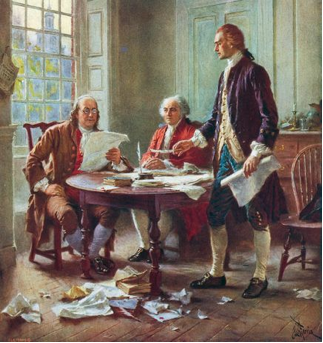 It was influential to their entrepreneurial free minds and allowed them to create a young nation’s blueprint that guided it to become the United States of America a World Super Power. The yearning to be free from a control of taxation without representation was a powerful message to Great Britain. And so was the thought that, “We hold these truths to be self-evident, that all men are created equal, that they are endowed by their Creator with certain unalienable Rights, that among these are Life, Liberty and the pursuit of Happiness.” No stronger words have ever been written, in my opinion. These poetical words were enough to awaken the people to their rights; it reaffirmed their independence and sense of responsibility. The truth is we have strayed from our responsibility as citizens. If our nation is in a crippling crises, it is then our duty as American Citizens to rise and save our nation. Our country needs us. It is imperative that we educate ourselves on the basic truth from which we have strayed and understand that we must vote for the truth and not four more years of fortune cookie economics. Capitalism, as Adam Smith proposed, is nothing whatsoever to the one we have been made to believe as bad. 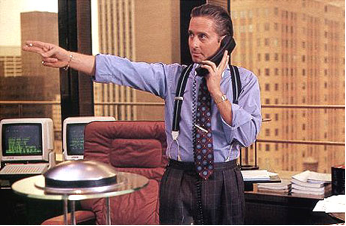 The portrayal of greed by the fictional character Gordon Grekko in the movie “Wall Street,” is just that: fiction. Capitalism brings good if people are allowed to work, earn, and spend as they wish. Too much regulation is an insult to our intelligence and tells us that we don’t know how to spend our money the right way. Adam Smith lived at a time when governments taxed and oppressed the poor. He believed that government “is in reality instituted for the defense of the rich against the poor” as well as an entity that “drained money from the pockets of the people.” Which is true? They both are. The rich own and implement industries that create jobs. The wages earned are done so by the quality of work. If the work is insufficient then the companies fold because no one buys an inferior product. However, the “poor” are given the false information that they have no recourse but to stay poor because their choices are limited due to the rich. The government manipulates both sides as we are currently living this double message. Smith’s theory was simple. Let people decide how to spend their money. Through this lens he saw the role of limited government. The government protects and serves the people by creating an education system for all citizens, public works as well as public services. Under this system the people pay for this through a personal “badge of liberty” (tax) as opposed to a badge of slavery (forced unjust taxation). He warned though, “High taxes, sometimes by diminishing the consumption of the taxed commodities, and sometimes by encouraging smuggling, frequently afford smaller revenue to government than what might be drawn from more moderate taxes.” In other words, too much of anything can make it less appealing and people will not cooperate. Like in everything, moderation is key. Was Adam Smith pro or anti big business? He was for neither. He was for a free market that was vibrant and dynamic. A market that was constantly adjusting to find its natural balance. In his plan, the market is a playing field for entrepreneurs, without government interference to protect the established rich and powerful monopolies. His writings were clear and stated that government should stay out of economic decisions. In fact, Smith believed that consumers and businesspeople could make far wiser decisions than a central static government. Was he wrong? If Adam Smith and our founding fathers were to see the current state of affairs, they would no doubt be aghast by the bloated government and its micro managing of our market. I think that they would ask, “where is the Independence that echoed that famous right of equality and the pursuit of happiness?" In the next and final article of this series we will focus on the ailing heart of our democracy, the consumer, and the market.